The Journal publishes articles on topics related to child health care policy, pediatrics and its sub-specialties, neonatal health, child immunization and immunology, nutrition, early detection of diseases, genetic problems, psychology and mental disorders associated with children and adolescents. 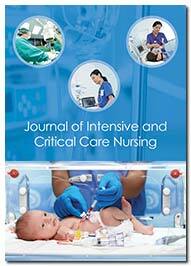 The journal scope encompasses several important topics including; intensive care unit, emergency and critical care, neuro intensive care, inflavonoid intensive care, pediatric intensive care, surgical critical care, pediatric emergency care, pulmonary critical care, critical care paramedic, intensive and critical care medicine, anaesthesia and intensive care. The journal aims to focus on the recent developments in the health care including family practice, palliative care, community health, prenatal care, perioperative nursing, medical sociology, healthcare delivery, quality of life, sexual health, mental health, primary care medicine, medical education, primary care epidemiology, clinical management, geriatric care, and chronic illness. The scope of the journal covers various aspects of diagnosis and treatment of infectious diseases, applied epidemiology, disease prevention, prevention and control of pathogenic infectious diseases, evaluation of health outcomes, public health law and ethics.